Maginhawang Buhay: A Nearly Impossible Dream for Tourism Workers? I watched the waves of the ocean crash into one another, the violent actions and reactions of the clear blue water contradicting the serenity found in its calming hues. 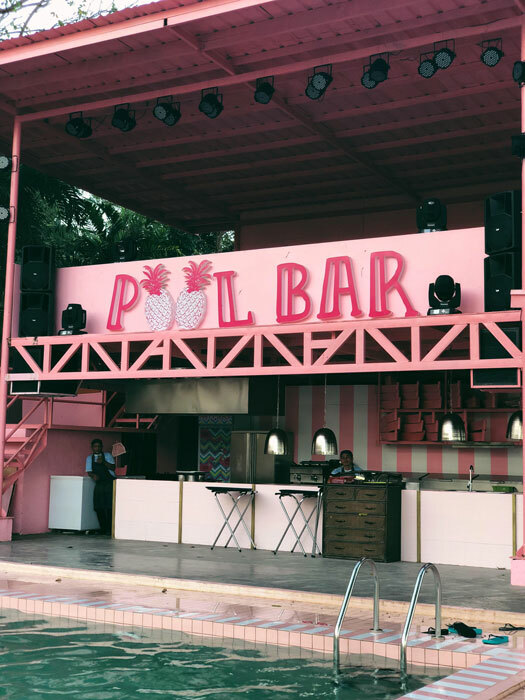 I was on a trip to Happy Beach Cebu, one of the latest Instagram-worthy attractions known for its pastel theme that resembles one of my old toy playsets. When I was a child, I used to play with a Barbie themed beach resort. The resort had pastel colored trees, a pink pool, a beach house, and some of my Barbie dolls lying down on the reclined beach chairs. As a person born into a generation that is obsessed with picture-perfect captured images, I have fallen into the irresistible charm of destinations that have the sole purpose of providing eccentric photogenic backgrounds (such as the Museum of Ice Cream, Color Factory, and Candytopia). For the holiday season this year, my family and I decided to go to the Philippines, in which two of my cousins carefully planned our itinerary for four days of our three-week vacation to the Philippines. We decided to go to the province of Cebu, and our first stop was Happy Beach. As fun as it was to take pictures with my mother and cousins and walk on the beach, what inspired me to write this article is the 15-minute boat ride leaving Happy Beach. As I saw the silhouette of the island of Happy Beach from the view of the boat, there was a stark contrast between the artificially manufactured pastel palm trees and the rest of the developing island, clearly still in the early stages of transformation. 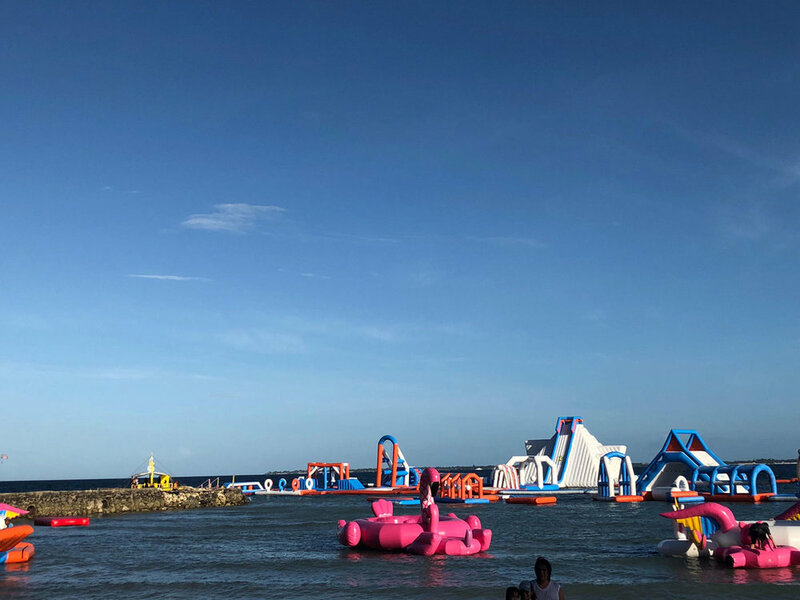 Awkwardly placed adjacently to the island are the colorful plastic inflatables that seem to be out of place alongside the natural beauty that the Philippines has to offer. Mother Earth’s simple but sophisticated beauty is overpowered by the layers of Happy Beach’s vibrant but artificial attractions. I saw Happy Beach as what I would call in Tagalog “Maganda siya sana, pero hindi,” quite literally meaning “It’s almost beautiful, but it’s not.” It seemed as if the tourists, myself included, were making a luxury out of someone else’s reality. What might seem like someone else’s ancestral home was taken over and morphed into something that it’s not meant to be. 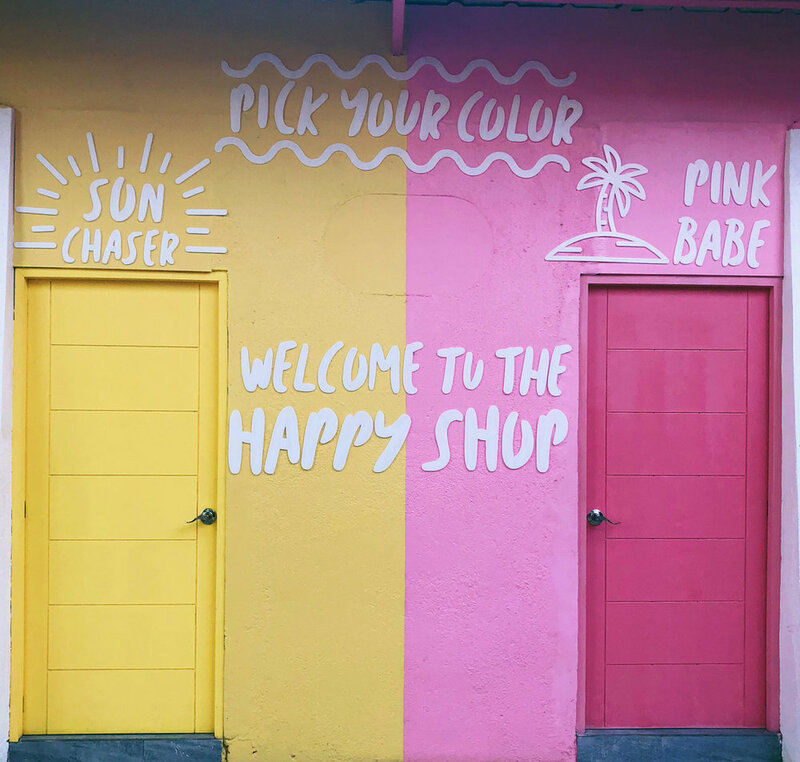 Despite my seemingly intense angst towards Happy Beach’s establishment, I am fully aware that its development’s effect has just as many positive impacts as it does negative ones for the people of Cebu. Happy Beach helps the residents of Cebu improve their tourism industry. It creates jobs and bring more income for the people. Some of these jobs include the motorcyclists that take the tourists to the port, the boatmen who motor their way to the island of the beach resort, and the restaurant workers who would quickly serve the food and clean up after the guests. The group of people that stood out the most to me was the boatmen that brought tourists in and out of the island. They all had such an unbelievable amount of strength and balance that demonstrated the sturdiness of their bodies despite their fragile, petite frames. They all had a congenial disposition and displayed happiness and contentment with the simple life they live, something you don’t see quite often. The boatmen seemed to live a completely different way of life compared with what I am used to back at home. They did not have the same privileges as I do, and some of them may never experience a “maginhawang buhay” or a “comfortable lifestyle,” yet they seemed to be much happier and less stressed compared with me and the place where I grew up in the Bay Area, known for being one of the wealthiest areas of the world. They seemed more connected to the sea and the earth. This perspective made me realize how small my problems are, and how I should be thankful for what I have. I write this article not to discourage people from traveling or to criticize beach resorts. I also do not intend to offend any of the boatmen or the employees of those in the tourism industry. The purpose of this article is to pay homage to the workers that make our unforgettable experiences and traveling excursions as enjoyable as possible, those who paint a mirage amidst the daily struggles they face as human beings in their own society. I dedicate this written work of mine particularly to recognize the people that served and cared for my family and me. They brought happiness and adventure into our little escape from reality. Jazmine Tabili is a second-year undergraduate student at the University of San Francisco. She is currently a communications coordinator of the San Francisco Committee of Human Rights in the Philippines and is involved with Unite Here Local 2, a labor union organization that fights for fair wages and workers' rights.